performance, ergonomics, functionality and design. adjustable sprung seat for maximum driver comfort. The new Perkins 1104D (Tier 3) 4-cylinder naturally aspirated and turbocharged engines delivering 74, 83, 92.5 and 98.5 hp (ISO rating), are specially designed to provide superior performance for farming applications. The range includes eight models with different engine options and track widths for added versatility and maximum productivity. New Perkins “Tier 3” 1100D Series engines with forward tilting hood. The new Perkins 4-cylinder naturally aspirated and turbocharged engines deliver 83 HP (ISO rating), respectively. Specially designed for farming applications, these environmentallyfriendly engines meet the TIER 3 emission standards, while providing high torque backup, improved fuel economy and low noise. 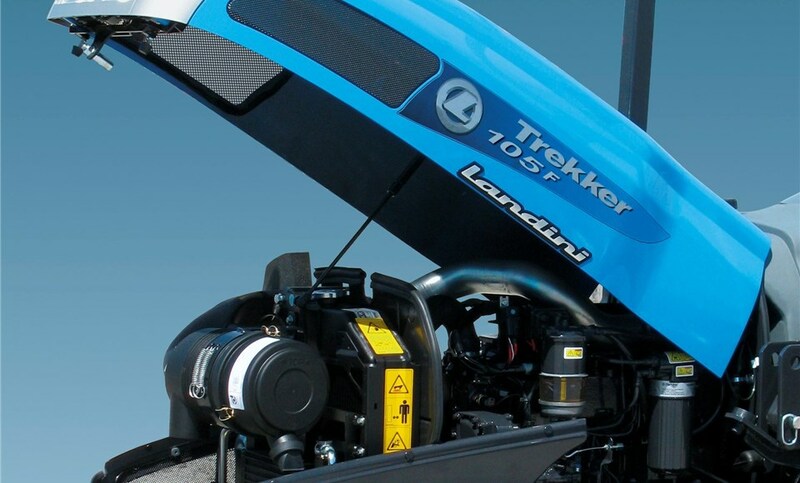 The new tilting hood reflecting the Landini family feeling provides easy access to the engine for routine service and maintenance. The stylish dashboard features analog instruments for simple and fast reading. 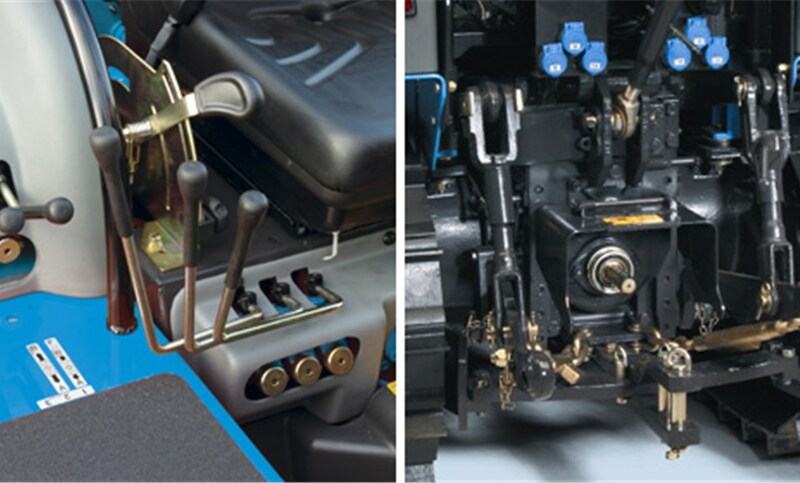 The gear and reverse shuttle levers are located on the driver’s side in forward position for optimum comfort, in accordance with the latest tractor technology. The HI-DRIVE hydrostatic steering levers activate the steering clutches enabling smooth and accurate steering control. Driving seat on suspended platform. 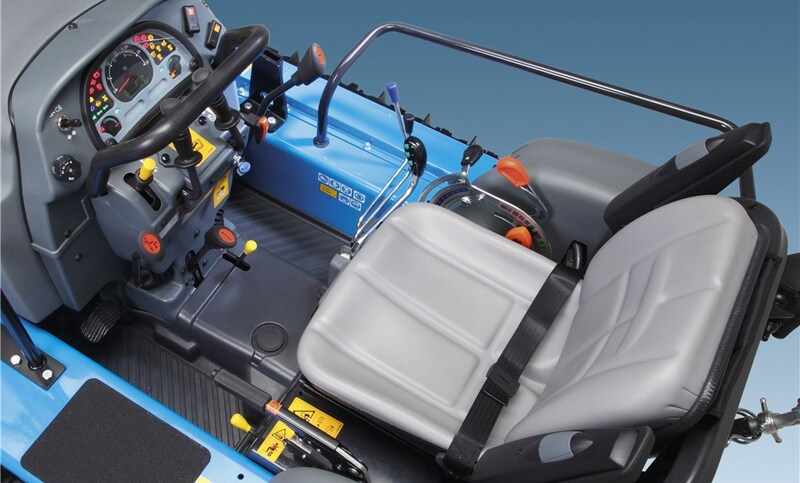 The driving seat mounted on a platform suspended on silent-blocks features an adjustable sprung seat for maximum comfort when working on rough grounds. The valance panels on the driver’s sides are designed to match perfectly with the rounded line of the hood and are equipped with handles which can be used as armrests or handholds for increased comfort. 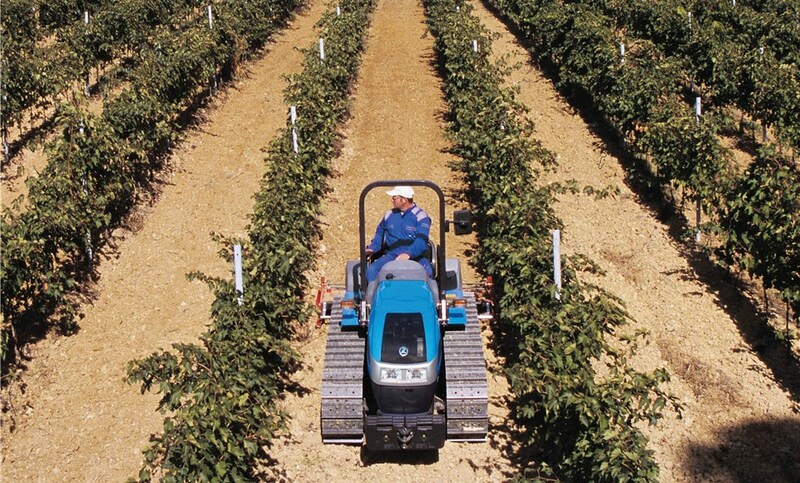 The foldable two-post ROPS are ideally suited for working in canopy orchards and vineyards. 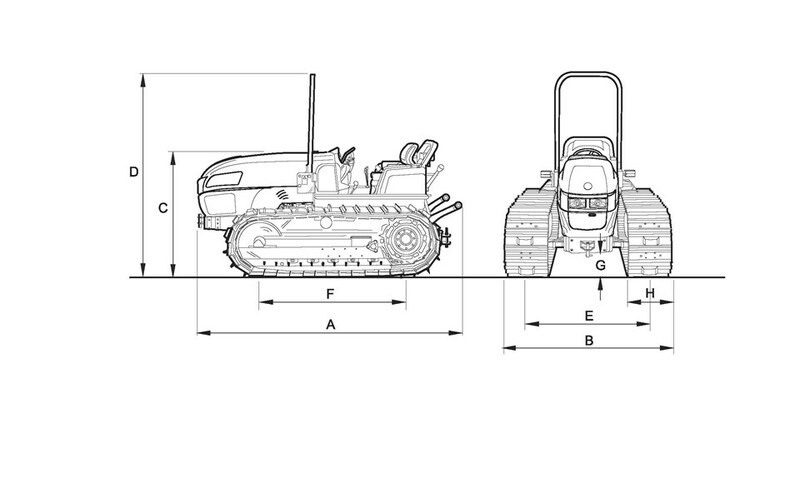 Powerful hydraulic system and auxiliary valve versatility. The hydraulic system provides a maximum total flow of 17 GPM (66 l/min). 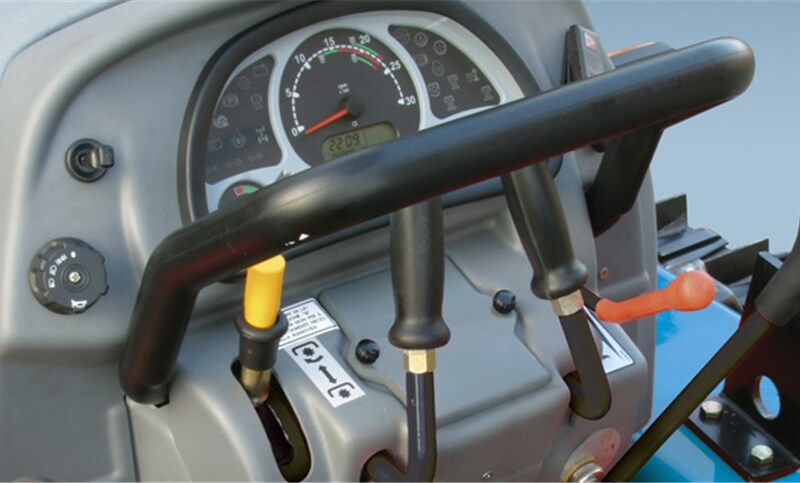 The simple- and double-acting auxiliary valves can be conveniently operated by levers located on the driver’s right. Easy-to-access high-quality quick-release couplings ensure greater versatility and improved tractor productivity.